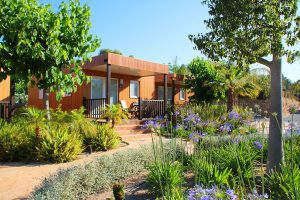 Villasol also has a magnificent bungalow area. 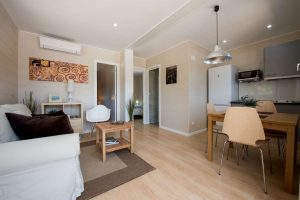 We call this zone the Resort, a 23-bungalow luxury complex, totally equipped for you to enjoy a great experience. 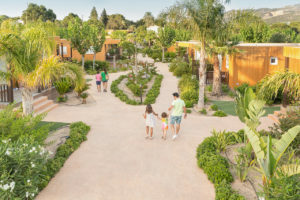 The space surrounding our bungalows is a unique setting with sub-tropical vegetation and a private pedestrian-only space so you can relax and enjoy nature. 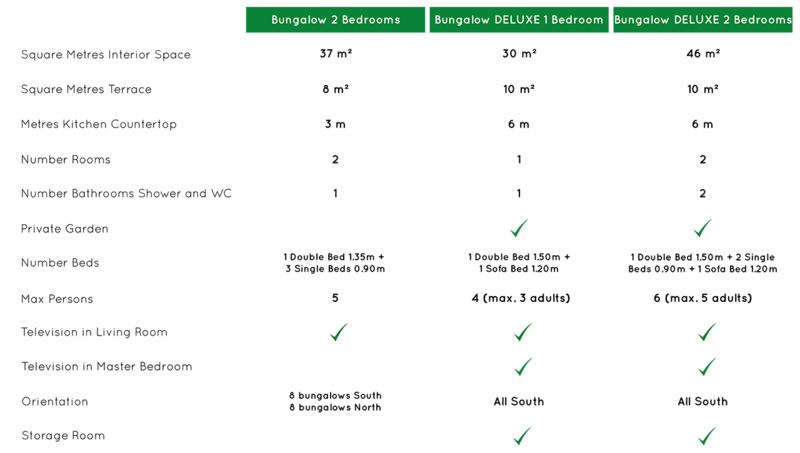 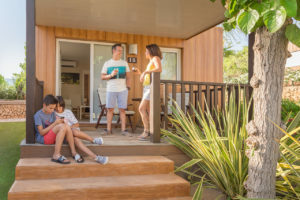 We have three types of bungalows, with 1 and 2 rooms, living-dining with TV, kitchen with tableware, refrigerator and microwave, and one or two complete WCs, depending on the model, with shower, WC and sink. 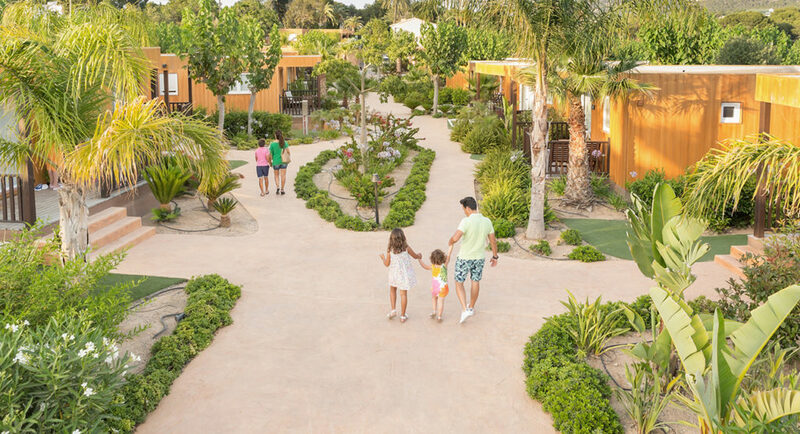 What’s more, all the bungalows have air conditioning and heating, a parking space and a furnished terrace that leads directly to the exuberant garden. 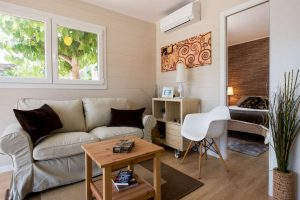 The inside of each one of these accommodations stands out with its detailed, thorough, welcoming and modern decoration. 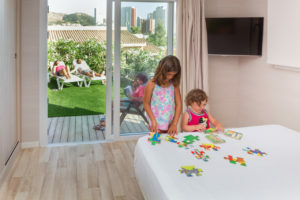 Since they are large, being completely equipped and having all the commodities is the perfect option for those who want to lodge in a luxury camping, with friends or with children. If you’re looking for a camping with bungalows, we’re waiting for you here at Villasol.